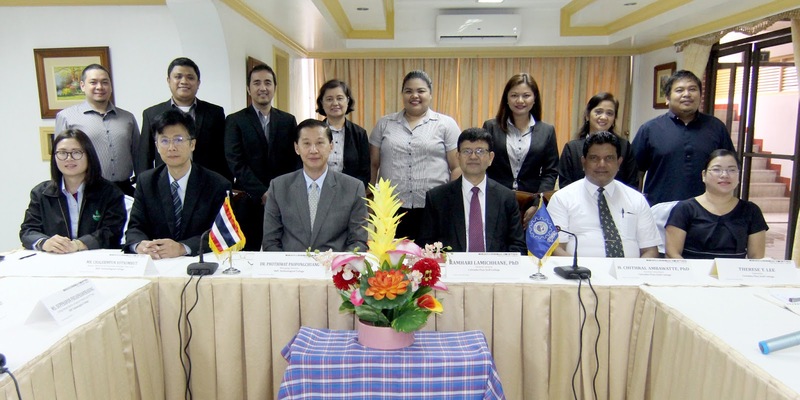 The officers and faculty of the Colombo Plan Staff College, led by the Director General Dr. Ramhari Lamichhane, welcomed three high officials from the IRPC Technological College in Rayong, Thailand for a half-day discussion, familiarization and presentation on their respective institutions. The visit commenced on June 11, 2018 at CPSC’s Headquarters in Manila. IRPC’s delegation include the Managing Director, Dr. Photiwat Paopongchuang; Deputy Director for Corporate Strategic Plan Department, Mr. Chalermpun Yotsombut and Acting Deputy Director of Special Projects and DVT Department, Ms. Supaphon Phuaphanprasong. The team were briefed regarding CPSC’s operations and mandate, as well as the mechanisms of the Asia-Pacific Accreditation and Certification Commission (APACC). They were also apprised regarding the developments of each institution in terms of Green TVET, e-Commerce, Industrial Development and other notable aspects of TVET. A study visit to the Toyota Motors School of Technology was also organized. In their respective speeches, Dr. Ramhari and Dr. Photiwat acknowledged the relevance of this meeting to foster more possibilities of cooperation between the two dynamic institutions especially on institutional accreditation through APACC, which was already included in IRPC’s developmental road map for 2018-2022. It is anticipated that a joint Memorandum of Understanding (MoU) will be signed by both leaders to formalize their intent to cooperate with each other. IRPC Technological College is considered as one of the leading private technical colleges in Thailand that is directly affiliated with one of its major petrochemical and industrial companies, the PTT group. It is considered as one of the model institutions in ASEAN in developing the competencies and skills of the graduates in preparing them for a career in heavy industry. It is also considered as a center for excellence in technical education not only in Thailand but in neighboring countries such as Myanmar, Cambodia, Laos and Vietnam. 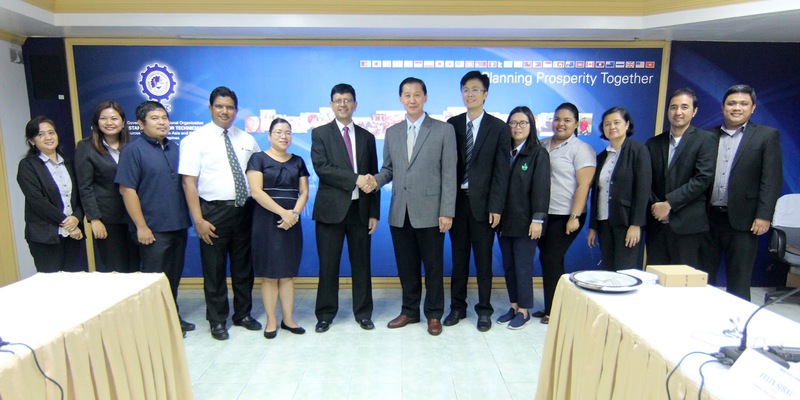 (Left photo) Dr. Photiwat and Dr. Ramhari, with the IRPC team, exchanging tokens with each other. (Right photo) The IRPC team during their exposure visit to the Toyota School of Technology in Santa Rosa, Laguna. IRPC officials with the faculty and officers of CPSC.